I baked chocolate chip muffins and banana muffins today to sell at the Assisi Hospice Charity Funfair tomorrow. Here’s the recipe for the muffins! After making them tons of times, I discovered some dos and don’ts! Mix the wet ingredients (milk, butter, eggs) together. (Make sure that the melted butter has cooled before mixing). Beat it so that bubbles form. Mix the dry ingredients together. Sift the flour and baking powder together (to ensure even mix). Mix the wet and dry ingredients together. Slowly fold it in. Do not fold it in so many times because it would deflate the air bubbles you created, resulting in a hard muffin. The mixture should be lumpy. 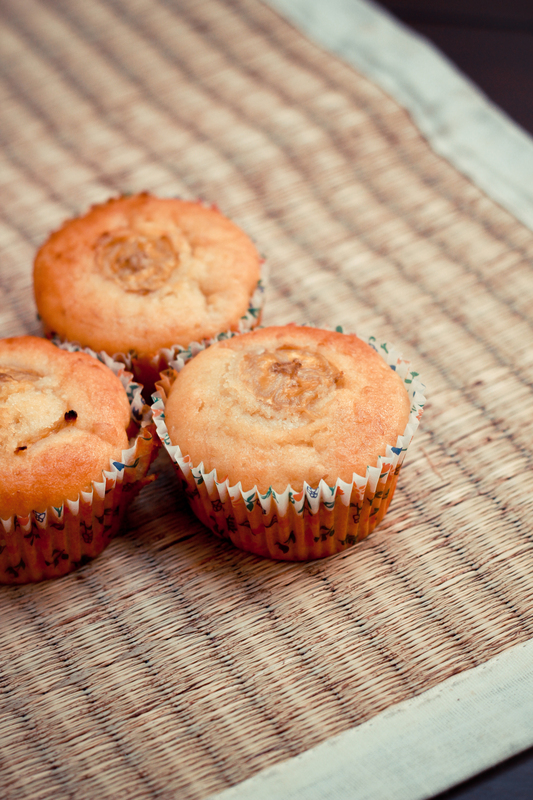 Pour the mixture into muffin cups and pop into the oven at 200 Celsius Degrees.